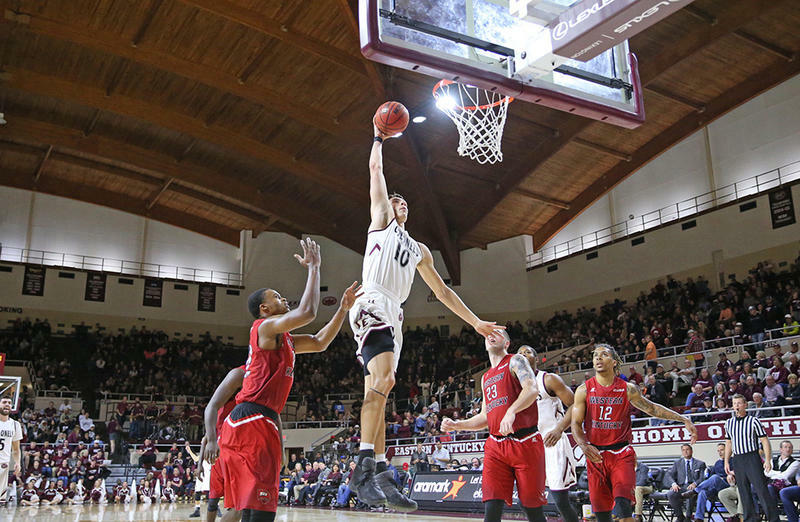 Eastern Kentucky University’s men’s basketball team has been projected to finish fourth in the Ohio Valley Conference this season. Pre-season rankings and player recognitions came Tuesday during the conference Media Day event. NASHVILLE, Tenn. (AP) — Corey Walden scored 22 of his career-high 29 points in the second half to help Eastern Kentucky upset top-seeded Belmont 79-73 Saturday night for the Ohio Valley Conference tournament championship and an NCAA tournament berth. NASHVILLE, Tenn. – Eastern Kentucky University's run in the Ohio Valley Conference women's basketball tournament came to a sudden end in the semifinals Friday afternoon. Regular season champion UT Martin picked up a 97-45 victory over the Lady Colonels, who were playing their third game in three days.